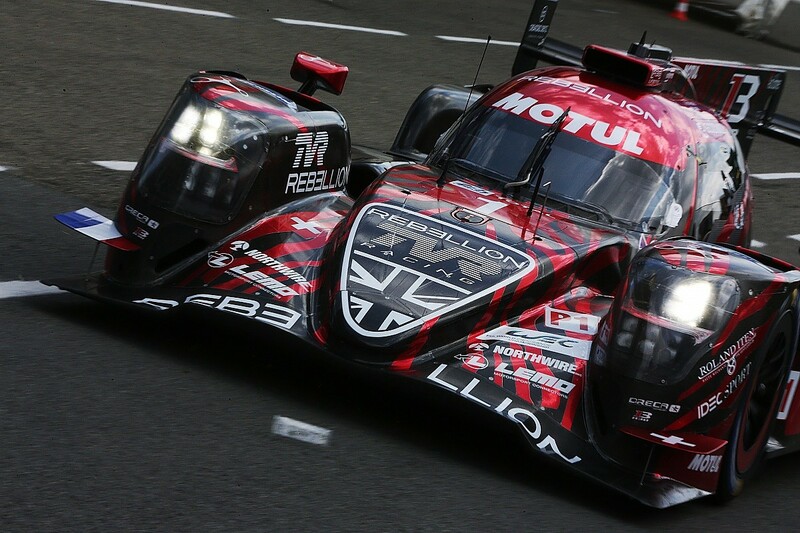 Is the challenge of Le Mans being diminished? 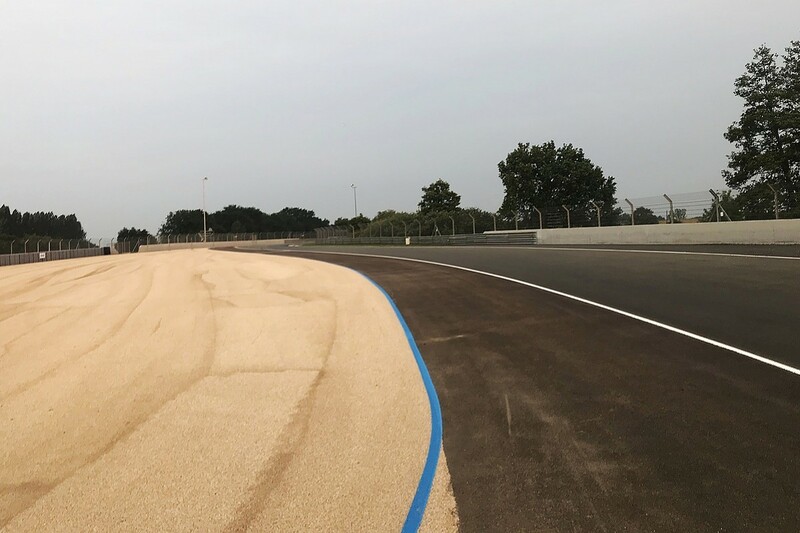 The alterations to the Porsche Curves at the Circuit de la Sarthe have been completed for the 2018 edition of the 24 Hours and many of the drivers are not happy with the changes. But have they saved the famous corners from complete destruction? Find some old on-board footage from the Le Mans 24 Hours on YouTube, and just marvel as the cars speed through the Porsche Curves. Not just at the start of this famous sequence, but also the end. It's almost as if the drivers are racing through a tunnel. There's no room for error. A small strip of grass is all that stands between the asphalt track surface and the concrete walls through the final right of the Porsche Curves and the following left-hander, formerly known as Karting, now named Corvette. That was the case all the way into the present decade. But no more. The walls are now almost out of sight beyond a wide expanse of mostly asphalt run-off. The safety upgrade of the Porsche Curves undertaken by the Automobile Club de l'Ouest has been in the works since 2014. The changes for this year have involved moving the barrier back on the outside of the second part of the double left-hander that follows on from the initial right. It's perhaps a small change compared with the major revisions that arrived in time for last year's 24 Hours, when the walls were moved back on the exit of the second right-hander and through into Corvette. But it has still got the goat of some of the drivers who regard the latest changes as the final nail in the coffin for that section of the Porsche Curves. 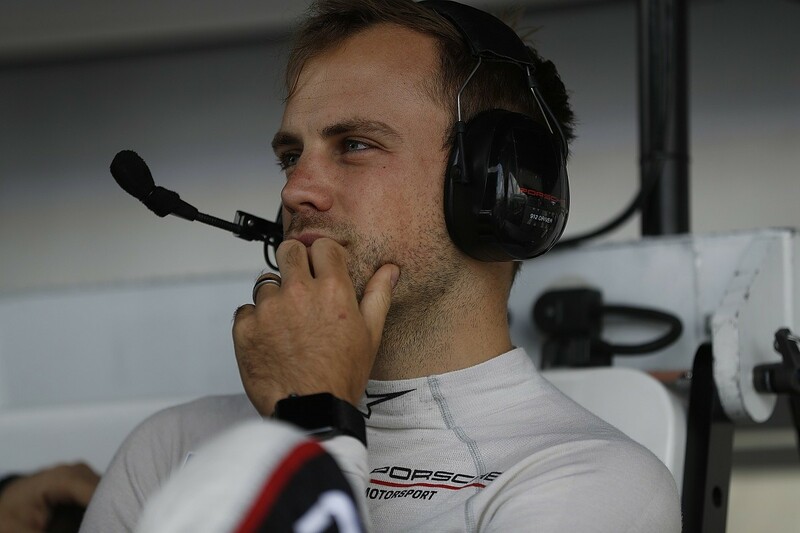 Laurens Vanthoor, a Porsche factory driver, has been the most public and probably the most scathing, and not a little sarcastic. "Congratulations FIA!" he declared on Twitter. "You finished the job... One of the most iconic corners in history have [sic] now been destroyed. #Porsche Curves." That outburst was Vanthoor's reaction to what he sees as the challenge being removed. "That was an iconic corner," explains the Belgian, who will be making his third Le Mans start and his first with the Porsche factory squad in GTE Pro. "It was a part of a track where you'd take a deep breath. It was a place where you couldn't make a mistake. There was an element of danger, but that's why it was a challenge." Walls - or rather the prospect of hitting them - sort the men from the boys, argues Vanthoor. The best drivers can find the limit in a corner where the penalty of going over it is severe, and find that limit quickly. They are the ones who can achieve the limit and nothing more repeatedly and consistently over the course of a race. "You knew you had no room for error and as a driver you had to pull all your talent out to be quick. Now, if you have an oversteer moment, you can just go straight," says Vanthoor in reference to the opening out of the exit of the double left. "You push, go straight and then edge it back a bit the next lap." What's happened in the Porsche Curves, of course, touches on the wider debate in motor racing about track limits. The acres of asphalt favoured by the FIA — and track owners who have other non-racing customers to think about — are regarded by many as a blight of the sport today. 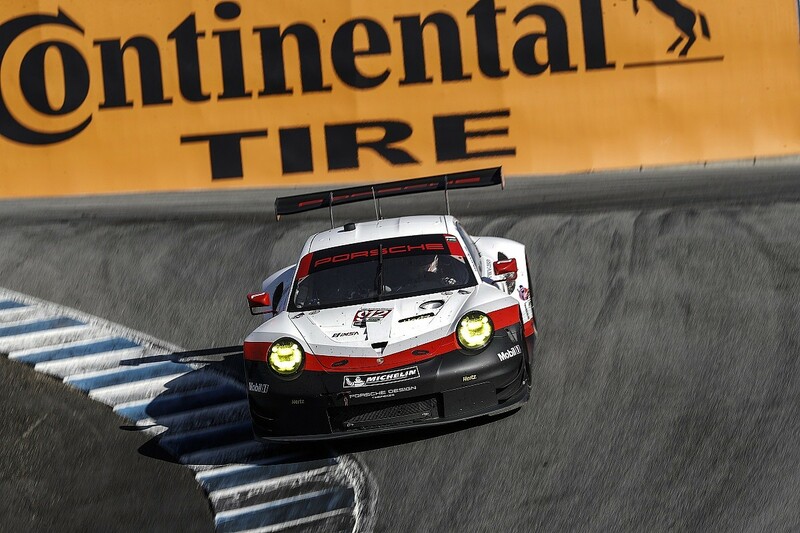 The penalty for leaving the track in the second half of the Porsche Curves is now going to be largely an artificial one. The sanction isn't provided by a solid wall, but by race control in the form of penalties to be taken in the pits. Vanthoor reckons the changes have transformed a classic sequence into something akin to any number of corners at Paul Ricard with its expanses of stripy run-off: "If someone asked me to do the Paul Ricard 24 Hours [the lapsed round of the Creventic 24H Series], I would say no. I would be bored." He definitely isn't bored racing for the factory CORE Autosport-run Porsche team in the IMSA SportsCar Championship in North America. "They have proper, old-school tracks out in North America, and that's why I wanted to race there," he says. "Do we have more crashes there, do people get hurt? No, because people respect the tracks." Vanthoor hasn't been alone in his criticism. Fellow Porsche GTE Pro driver Nick Tandy reckons the new run-off has "kind of diminished the challenge" on the exit of the double-left. "Before, you knew that if you ran wide, you'd be on the grass and into the wall," he says. "I don't like corners where you can make a mistake, run wide and get away with it for 24 Hours." Three-time Le Mans winner Andre Lotterer was particularly outspoken about last year's revisions. "Like driving on a parking lot" and "a little less thrilling" was his description of the final result of the changes. Twelve months on, he's more pragmatic. "Personally I'd have preferred if they had kept the characteristics of the track as it was," says Lotterer, who lines up with Rebellion Racing at Le Mans in 2018. "But we know that the ACO wants to improve safety, otherwise there will be pressure to add some kind of chicane. Anything is better than that." That's exactly what the ACO has been trying to avoid over the past four or five years. It has sought to improve safety since before Audi driver Loic Duval's monster shunt out of the double left in practice for the 24 Hours in 2014. The ACO has indeed been focused on preserving the line or the route of an amazing sequence of corners that was put in place for the 1972 race. That explains the expanded gravel trap that went in at Corvette Corner and the Tecpro barriers added at the right-hander in the Porsche Curves in 2014. 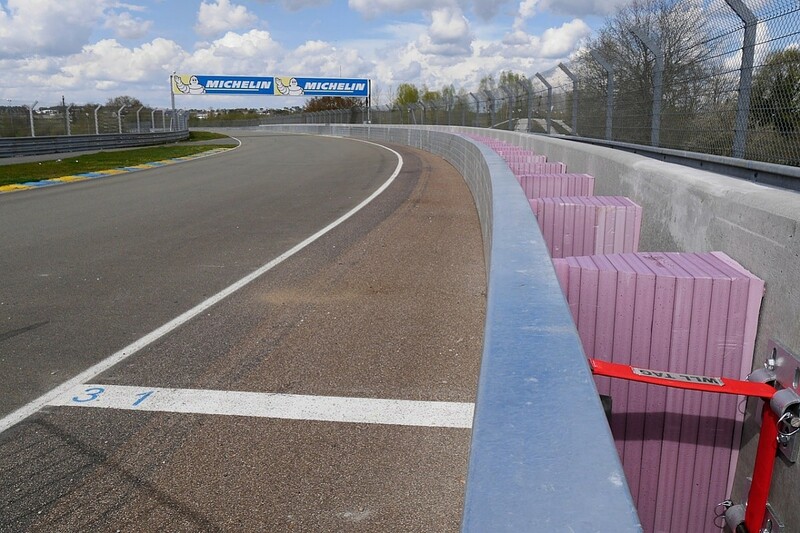 SAFER barriers were installed on the outside of the first part of the double-left in '16 (pictured below), and at the same time the run-off was increased at the exit of the final right-hander, where Duval's Audi R18 e-tron quattro came to rest two years earlier. "The line is unchanged," ACO president Pierre Fillon said earlier this year. And he's probably right to be satisfied, I reckon. Every race circuit evolves, and necessarily so. I couldn't tell you if there was more of an outcry to the disappearance of the old Maison Blanche section when the Porsche Curves were built, but I do think that the ACO has done a pretty good job of upgrading the Circuit de la Sarthe in my time. The remodelling of Tertre Rouge for 2002, to allow for more gravel run-off, created a faster and, to my mind, more challenging corner than before. A minor classic, even, or at least one of my favourite viewing spots. The extension of the Esses back towards the Dunlop Chicane, undertaken at the same time, created a decent corner, even if it did remove one of the iconic photo opportunities around the 8.47-mile circuit. The 'new' corner is a challenge and makes the Dunlop Chicane more demanding because the cars are accelerating around a right-hander as they go over the crest. It's just a shame that we no longer have that classic Le Mans shot of a pack of cars trailing down the hill into the Esses with the Dunlop Bridge in the background. The ACO has to juggle its desire to retain the unique character of the Circuit de la Sarthe while addressing safety concerns before changes are imposed from above at a time when its race is part of an FIA world championship. The answer to the question posed in the headline about the challenge of the circuit being diminished is undoubtedly yes. But there's a more pertinent question. Is it better that the Porsche Curves live on unchanged in the ribbon of asphalt laid out in the 1970s, rather than being revised in some way almost certainly for the worse? The answer to that one is also yes.